The PhD requires three years of research and a full doctoral dissertation of typically 60,000-80,000 words. Applicants without a masters degree equivalent to the SASP MLitt will be admitted initially to the MLitt. Progression to the PhD from the MLitt requires a separate application the following year, and is conditional on satisfactory performance in the MLitt. Admission to the PhD depends on two conditions: (1) There must be a suitable supervisor for your intended project; and (2) you must do well in the M.Litt. The requirement for continuing to the SASP PhD is an average of at least 16 overall in the MLitt, on the St Andrews 20-point grading scale. Because of the second condition, acceptance into the PhD can only be officially confirmed in September, after your MLitt dissertation has been assessed. 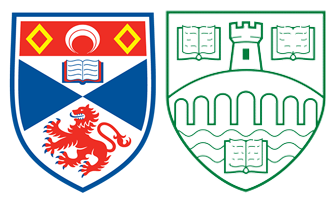 Applicants with a masters degree equivalent to the SASP MLitt can apply for direct entry to the PhD. If you wish to be considered for SASP funding then the deadline for PhD applications is 5th January. All applicants are eligible for SASP funding. If you wish to be considered for an AHRC studentship, please indicate this on your application, which is due by the annual deadline in early January. Please note that these deadlines are for receipt of all supporting documents – such as transcripts, references, and research proposals. It is your responsibility to ensure that your referees meet this deadline. You can apply for entry to the PhD after these dates but you will not be considered for funding. Decisions as regards SASP funding and AHRC studentships for incoming students will be made by the end of March.